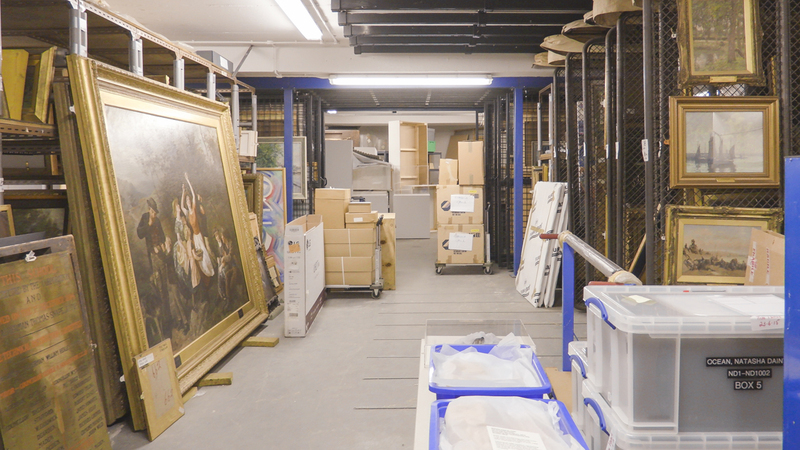 Intrigued by the fact visitors often ask us why we don’t show more of the over 1500 works in the Borough’s fine art collection, artist Harry Meadley set us the challenge of attempting to display as much of the collection as possible in a single exhibition. Spanning three galleries, ‘But what if we tried?’ presents the result of this attempt. As much about the process as the exhibition, the final display will also include a multi-part documentary filmed by Meadley featuring the Touchstones staff as they endeavour to realise this impossible task. Harry Meadley is an artist born and based in Leeds and was recently an artist-in-residence at ISCP (International Studio & Curatorial Programme), New York, and the Alchemy Film and Moving Image Residency, Café Tissardmine, Morocco. In 2017 they presented the eight episode video work ‘On the Bench’ commissioned by Up Projects for The Floating Cinema which toured the waterways of South and East Yorkshire, and North Lincolnshire in partnership with Hull City of Culture. They have exhibited at the Great Exhibition of The North, BALTIC 39, Newcastle, Liverpool Biennial, Eastside Projects, Birmingham; Northern Gallery of Contemporary Art, Sunderland; David Dale Gallery, Glasgow; and Annet Gelink Gallery, Amsterdam, amongst others.